Deep within the Chernobyl Exclusion Zone, the restricted area surrounding the nuclear power plant effected by radiation and fallout after the 1986 disaster, is the eerie abandoned city of Pripyat. Once the home of over 49,000 people, the city was evacuated days after the explosion. It has been empty ever since, steadily being swallowed up by nature. 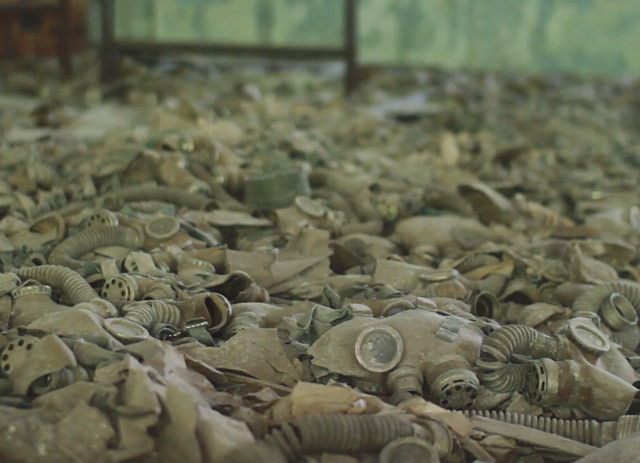 While working on a 60 Minutes report on Chernobyl for CBS News in 2014, filmmaker Danny Cooke took the opportunity to explore the ghost city. Armed with a dosimeter geiger counter (required to enter the exclusion zone) and his camera, Cooke captured amazing footage of the crumbling city.